for this project, bild was asked to revitalize a dwelling in a multi-story housing complex during a period when the city was rediscovering an appreciation for higher density on higher ground in post-katrina new orleans. over the course of the city’s development and for several decades prior to hurricane katrina, many residents had opted out of crowded riverfront neighborhoods for suburban homes situated on larger plots of land in low-lying lakefront communities. 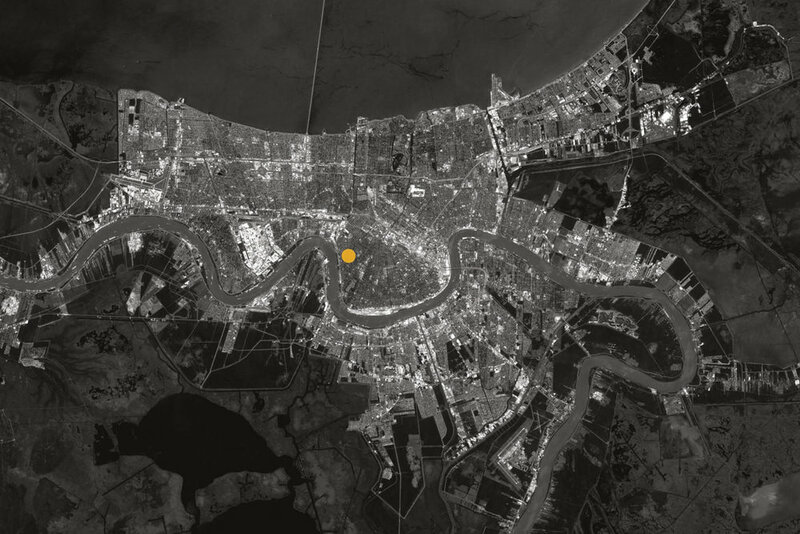 the storm and the floods that followed it reminded the city’s residents of the value of high-ground land along the mississippi river; and, in the years following the storm, many new orleanians began to favor higher density on high ground over low density in low-lying floodplains. 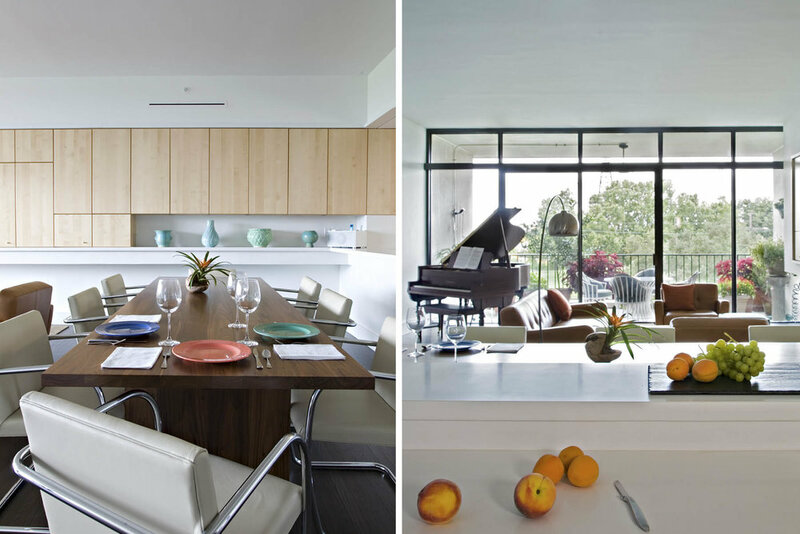 in 2009, the 70-year-old new owner of this mid-rise riverfront condominium decided to renovate her “shell” of a space to connect with the river and nearby audubon park in a fresh, modern way. a retired writer, she wanted a lively space to entertain friends and family that still afforded her cozy luxuries within her privates spaces. all program elements were left generally unmoved from the original layout but were redesigned to open visually to the perimeter of the unit. in some instances, walls were removed, and in other cases, doors and walls were glazed to allow views, light, and breezes to flood the spaces. 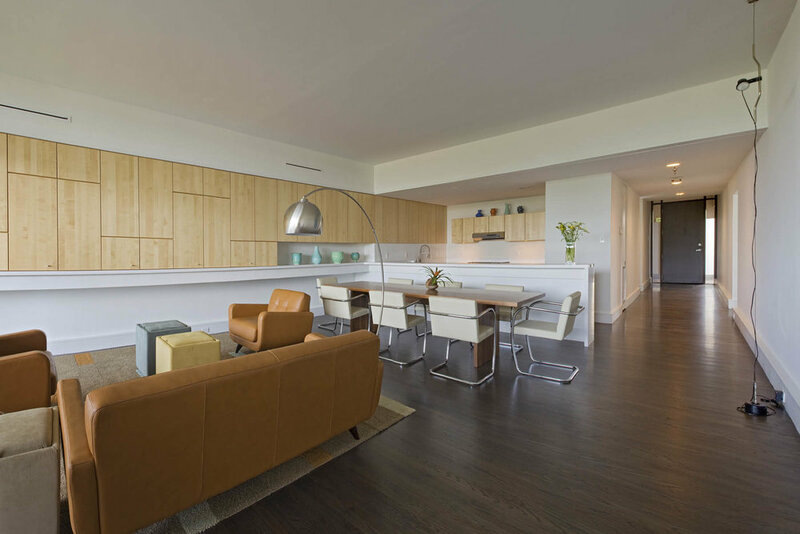 the project incorporated a number of off-the-shelf ikea cabinets and readily available plumbing and lighting fixtures. 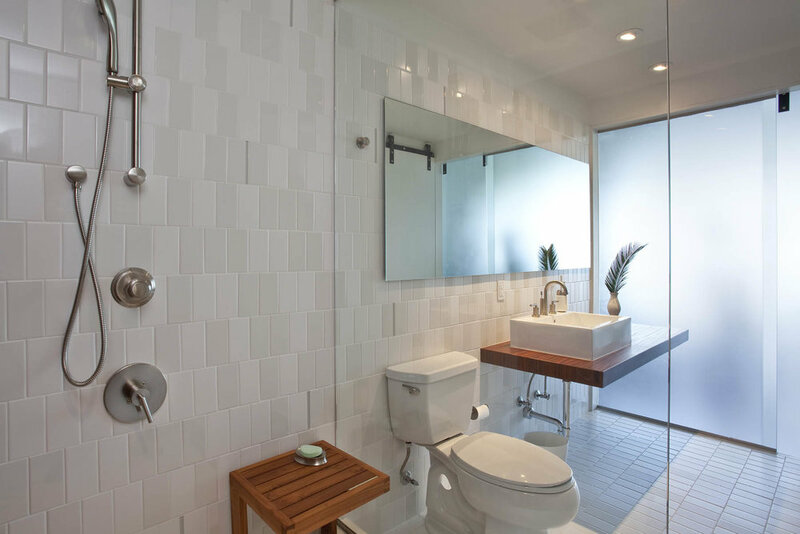 special attention was given to the translucent panels that filter light from the perimeter spaces into the bathrooms and to the soft wood and tile textures and colors that result from that filtered light. the success of this project depended on minimal detailing, careful selection and coordination of materials, and excellent execution by the craftsmen involved.